Greta Van Fleet is 4 young musicians - twin brothers Josh (vocals) and Jake Kiszka (guitar), both 22, younger brother Sam (bass/keys, 19), and longtime friend Danny Wagner (drums, 20). All from the tiny Michigan hamlet of Frankenmuth known for its chicken dinners and the world’s largest Christmas store. All were raised on their parents’ vinyl collections which helped give birth to the music they make today: a high-energy hybrid of rock’n’roll, blues and soul. 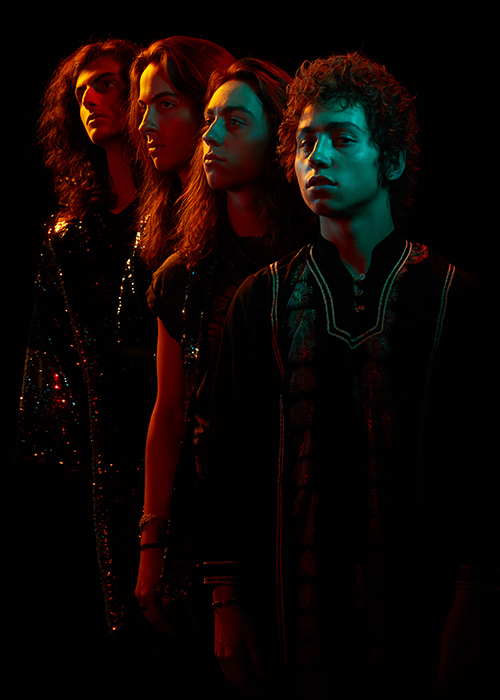 2017, Greta Van Fleet’s 1st year as a professional band was a wild ride of sold-out concerts in North America and Europe, glowing press, accolades from a slew of fellow artists from Elton John to Nikki Sixx to Tom Hanks, millions of YouTube video plays and Spotify streams, two #1 singles at Rock Radio and two #1 EPs, and most importantly, the genesis of an extraordinary connection with their fans. On August 15, 2018 the band released a new single, “When The Curtain Falls,” that took a mere 3 weeks to explode into the Top 10 at Rock Radio, accumulate more than 10-million streams, and 1 million-plus views of the track’s companion music video. Greta Van Fleet will see its debut album, Anthem of the Peaceful Army, released on October 19, 2018 (Lava/Republic Records).